When I think of summer coming into bloom, I think of the Governors Ball Music Festival. At least for me, it’s usually the first music festival of the summer I’ll attend, and having it so close to home makes it special. After attending this year’s edition, I have now attended all six editions of the fest since it moved to its not permanent home of Randalls Island, watching it gradually grow in size each year. Although rain once again threatened in the days ahead of the festival, we lucked out with some great weather, with only a few light drizzles throughout the weekend. 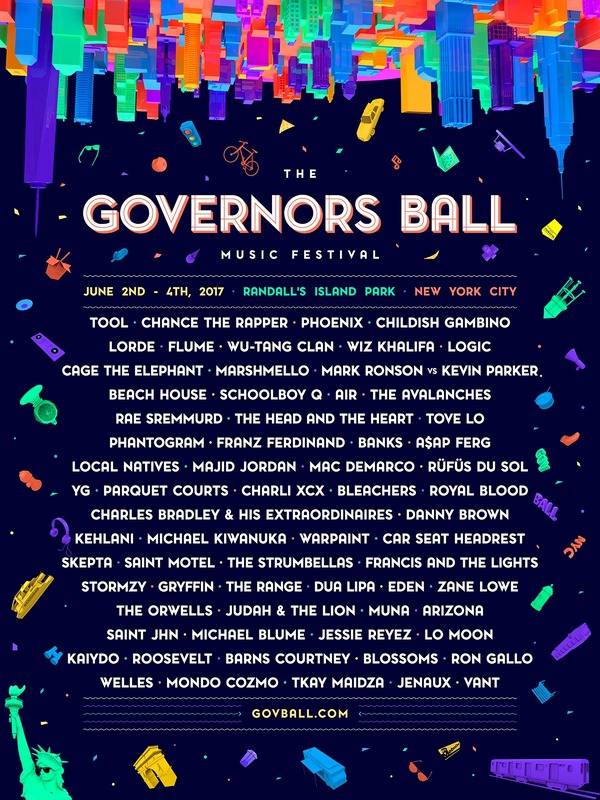 With Governors Ball just a mere two weeks away, the festival has finally revealed the set times for this year’s edition of the festival. With so many artists that you want to see playing at the same place, there’s naturally going to be some rather unfortunate conflicts. We may be only a few days into the new year but that means it’s time for all the music festivals to reveal their 2017 lineups. 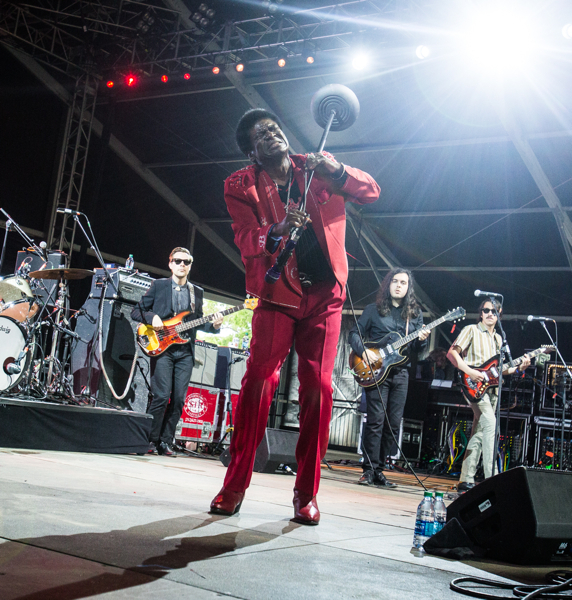 Here in New York there’s quite a few festivals starting to emerge, but there’s only one that we have relied on year in and year out: Governors Ball. They’ve announced this year’s edition of the festival (at Randall’s Island as usual), and it’s as varied and eclectic of a mix as ever. Headlining the festival is Tool, Chance The Rapper, Phoenix, and Childish Gambino. Then you got Lorde, Flume, Wu-Tang Clan, Wiz Khalifa, Logic, Cafe The Elephant, and Mark Ronson vs Kevin Parker. From there, highlights include Beach House, Schoolboy Q, Air, The Avalanches, Franz Ferdinand, Phantogram, The Head and the Heart, Banks, Local Natives, Mac DeMarco, Parquet Courts, Royal Blood, Charles Bradley & His Extraordinaires, Danny Brown, Michael Kiwanuka, Warpaint, Car Seat Headrest, The Range, The Orwells, Ron Gallo, and even former BBC radio host Zane Lowe. We’ve been covering Governors Ball every year since the second edition, and are excited to hopefully return this year to see what new memories this years edition of the festival brings. Tickets for the festival go on sale this Friday at noon, with early bird pricing starting at $275. See you at Randall’s Island this summer!